Today I went to the grocery to buy fruits an vegetables. 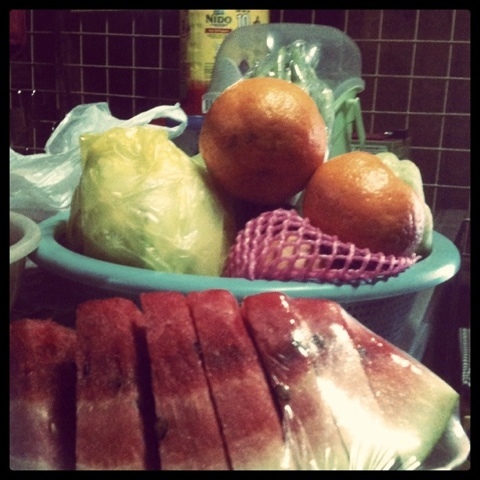 I realized that I really need to buy healthy food and overcome laziness in going to the grocery more often. So when I arrived from grocery its already late and so I requested mom to prepare Eggplant salad. 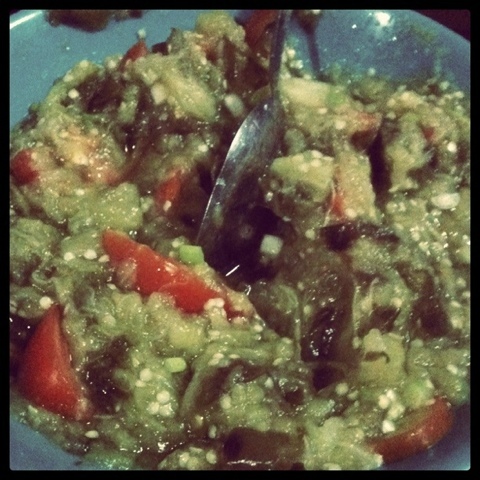 I really like eating eggplant salad specially if there's a lot of tomatoes on it. 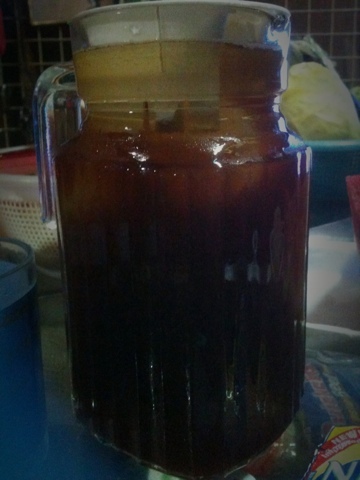 One thing I also realized is that lately Ive been drinking to much of soft drinks. When I saw this Nestea Iced tea in the supermarket I immediately bought a couple of litro packs as substitute to softdrinks.